I just read a fascinating continuing education journal article titled, The Gut Microbiome and Diabetes (1). This is a hot topic in medical research, as scientists are trying to learn what factors are driving the diabetes and obesity epidemic we face in developed countries. I would like to share with you some information on this topic in case you are looking for ways to prevent or manage type 2 diabetes. This is a fairly complicated topic, and I will do my best to break it down into practical terms. The gut microbiome is the collection of microorganisms found in the digestive tract (2). There are many different organisms within this microbiome, and they all play a part in health and disease. These organisms, called microbiota, help promote cell function, nutrient absorption, help prevent pathogen (bad guy) invasion and support immune function. In addition to all that, the microbiota also impact human metabolism. This is where the link occurs among obesity, diabetes, heart disease and metabolic syndrome. Many factors affect the gut microbiome, such as age, diet and medication. 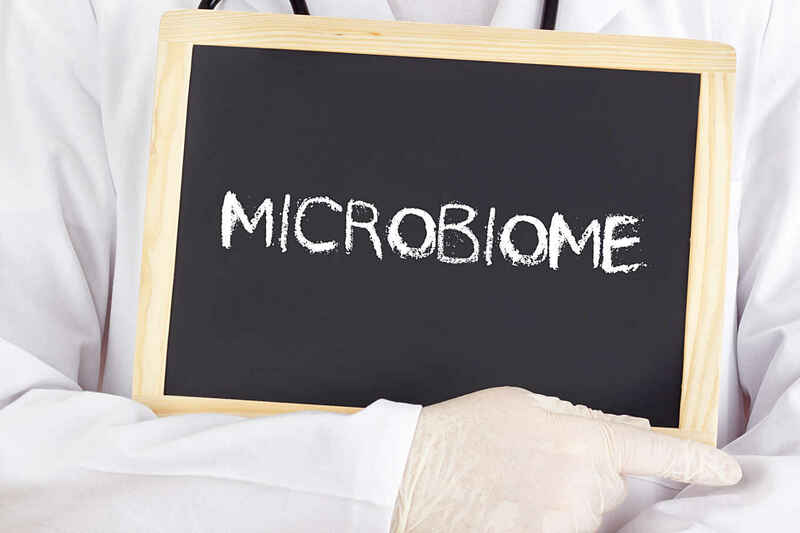 In simple terms, if there is an imbalance of microbiota, with a greater number of harmful microbes compared to beneficial ones, an increased risk of metabolic disorders occurs. In other words, the health of our gut can impact inflammation, energy metabolism and immune function. Scientists have discovered that microbiota play a role in insulin (the key hormone that regulates blood sugar) regulation and inflammation, a condition that increases risk of metabolic disease (3). In addition, researchers are exploring how the microbiome impacts appetite regulation. Researchers have observed a difference in gut microbiota composition and function between those with diabetes and those without diabetes. Those with type 2 diabetes appear to have a greater number of the harmful bacteria that can influence inflammation and energy regulation, and the microbes appear to function differently than normal (5). So, What Can We Do with this Information? A nutrition plan that focuses on increasing healthy microbiota appears to be a useful strategy for preventing or treating type 2 diabetes and might also favorably impact weight management and other metabolic conditions. Take probiotics: This might be beneficial, although there is limited human research to support it at this point. A daily yogurt or fermented food is very reasonable or you may consider a daily probiotic supplement. If you already do this for other health reasons, think of it as offering a potential bonus for your metabolic health. Eat a plant-based diet. Not only does a plant-based diet include more fiber for greater fullness after meals and lowering the LDL (lousy) cholesterol, but it may also provide bonus benefits for metabolic health. Sometimes we get fixated on foods we know we should limit. For a healthy gut, a positive nutrition approach could be to include the above healthy foods in your diet on a regular basis. Perhaps search for recipes that include these ingredients. Diabetes Care and Education. Academy of Nutrition and Dietetics. Vol 38. No.6. 2018. Ursell, LK et al. Defining the Human Microbiome. National Institutes of Health. Nutr Review. 2012. Enck P et al. Gut Microbiota and Diabetes. Jan. 2016. Everard A et al. Diabetes, Obesity, and Gut Microbiota. Science Direct. 2013. Ruan et al. Effect of Probiotics on Glycemic Control: A Systematic Review and Meta-Analysis of Randomized, Controlled Trials. PLOS One. 2015. Can Stress Impact Your Diabetes? Is HIIT Exercise a Good Option for Diabetes? Is Your Heartburn Getting Worse?